The soaring rise of mobile in India continues to bring a number of exciting opportunities here, but with that can come some growing pains. At Syniverse, we are always looking for ways to help our customers overcome the emerging challenges of this fast-moving market, and in this post I’m delighted to share one of our most important efforts on this front. 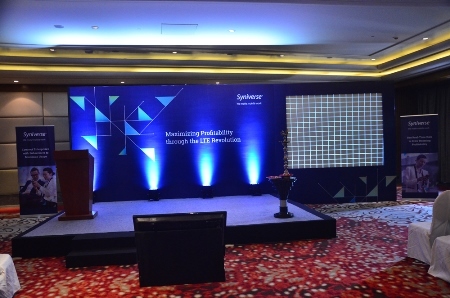 On Oct. 8 and 9, Syniverse held its sixth annual India customer workshop in Gurgaon, India. Our workshops are designed to bring together mobile operators throughout the region in an exclusive forum to share with them the latest Syniverse insights on major issues and trends in mobile, facilitate a collaborative exchange of ideas and use cases, and provide some relaxed settings for networking and socializing. 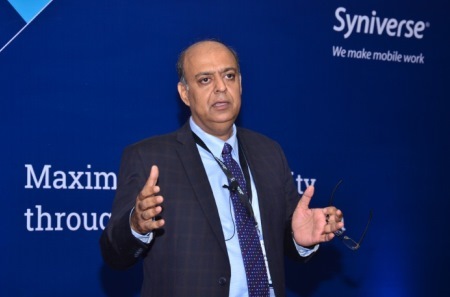 The idea to host this event came during my early days with Syniverse in India, when we were looking for ways to be more than a typical mobile services provider. After holding our first workshop in 2010, customer interest in the event has grown each year, and the event has become a bigger and increasingly important part of our customer outreach. The stage for our workshop. 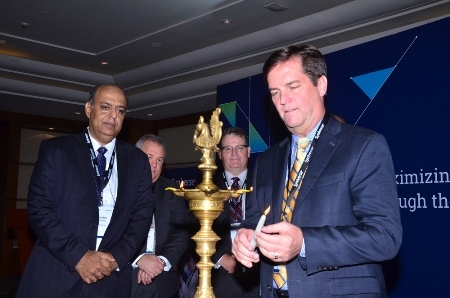 The workshop brought together more than 140 of our customers as well as over 20 members of Syniverse’s global leadership and India leadership teams, including Alfred de Cárdenas, President of Global Sales and Service, and Chief Sales Officer; John McRae, Chief Information Officer; John Wick, Senior Vice President and General Manager, Mobile Transaction Services; Mahesh Prasad, Executive Vice President, Sales, EMEA and India; and Paresh Shah, Senior Vice President and General Manager. Me addressing our customers during a workshop session. This year’s workshop was titled “Maximizing Profitability through the LTE Revolution” and focused on the many emerging opportunities and challenges of LTE. This technology is rapidly becoming a new standard for mobile service, and users will begin to expect access to the mobile broadband experience that LTE delivers all the time, wherever they go. But LTE rollout can present a set of new challenges to understand and prepare for. On the technology end, for example, operators have to install new equipment and adapt existing infrastructure to new standards. At the same time, on the business end, operators have to determine new pricing structures and reconfigure business partner relationships for roaming and interconnecting. John Wick (left) and John McRae lead a discussion. Syniverse has been in the thick of helping operators with these challenges, and our workshop provided sessions on a range of LTE issues. These included, among others, implementing LTE roaming, using real-time intelligence to manage users’ experiences, controlling fraud risk, and understanding net neutrality. The attendees told us that a big reason they wanted to attend this year’s workshop was to learn about our specific experience on LTE, and I think our insights about our experience really helped them understand what they should be doing and where we can help them. Overall, we found that operators really wanted to understand the impact on their network, the change for their billing procedures, and the process for testing for the launch LTE roaming. These are all critical considering that LTE is still relatively new to the India market. John Wick and I light a lantern for prosperity and good fortune at the workshop. Personally, the workshop was rewarding for me in a number of ways. The turnout, which was a record, is especially gratifying. In recent years we have had around 100 customers attend each year, but this time it was more than 140 – a wonderful validation of our efforts to make this event useful and interesting to customers. Some customers have told us they now consider this a must-attend event where they get an opportunity to know more about Syniverse, gain insights on the major issues and trends in the mobile industry, and meet with a diversity of fellow industry peers. In fact, customers are now saying we need to move this event to a larger venue, something we will need to consider for next year! On a final note, the workshop is rewarding to me in another way. My career has afforded me the opportunity to witness the incredible growth of mobile in India from a unique perspective. In 2005, I joined Syniverse as the company’s first employee in India and was tasked with launching our in-country operations. Ten years later, Syniverse has grown to over 750 employees in India, and mobile use continues to rise. As both a mobile professional and an Indian citizen, I look forward to seeing what exciting directions the market moves in next, and I feel privileged to be able to contribute to the next chapter of mobile by hosting this workshop. 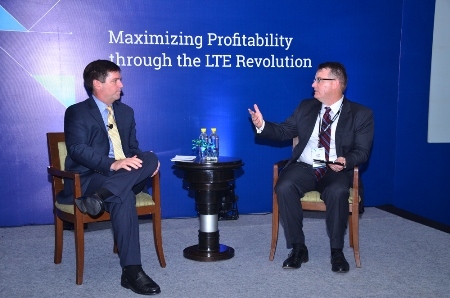 What opportunities are you looking forward to with the rollout of LTE in India? Do you think LTE will spur mobile use in India to grow even faster than it is growing now? Please leave a comment. Looking forward to hearing of more of this ..